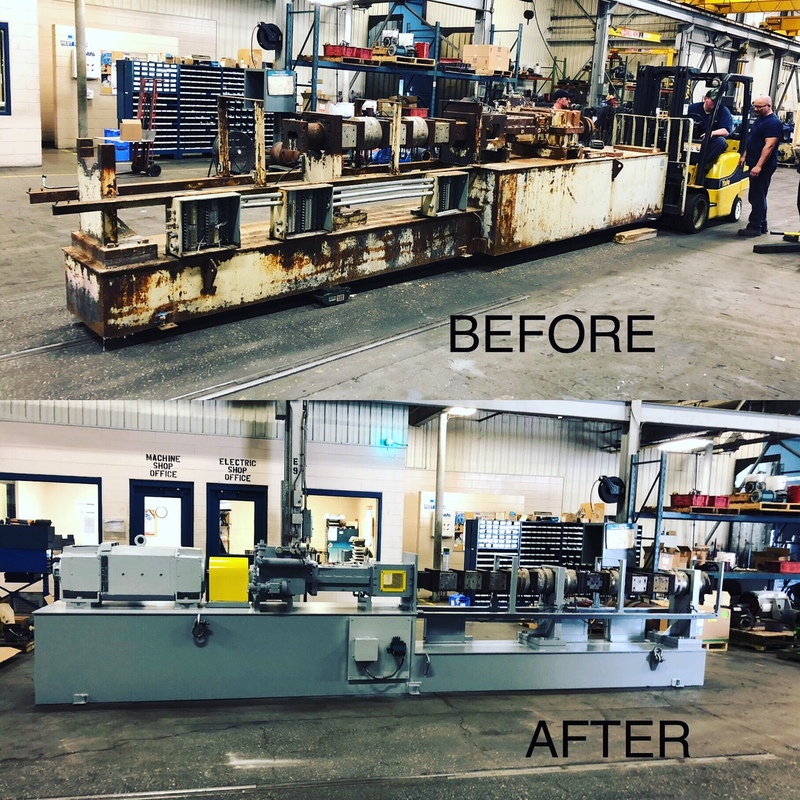 We wanted to share the before and after picture of a large plastic extruder recondition recently completed by EEMSCO. Taking care of your equipment on a regular basis will not only increase productivity and output but will also decrease downtime. We are able to utilitze both the electrical and mechaincal sides of our shop to not only recondition the extruder itself but also the attached 300HP motor. Please give us a call if you would like a quote on a project such as this for your facility!